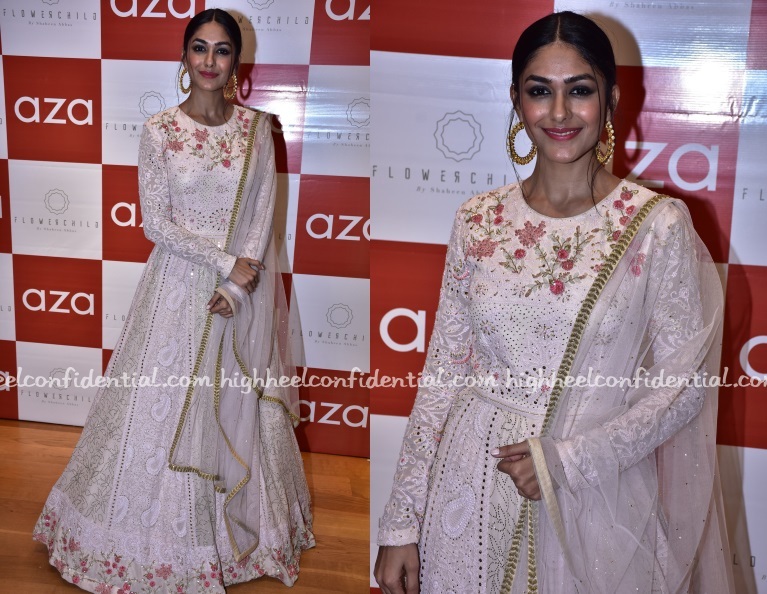 Wearing a pink anarkali, Mrunal attended the unveiling of a jewellery label’s latest collection unveiling. Anyone else feel, the outfit was a bit much for the event in question? Teaming their dresses with black heels, both Kubra and Gauahar attended a recent jewellery collection unveiling in Mumbai. With their hair slicked back in to knots, the ladies rounded out their look with jewelry from Flowerchild. Of the two, I have to hand this one to Gauahar. Kubra’s ombré dress just felt dated. P.S: Kubra is wearing Urvashi Joneja and Gauahar is in Notebook. 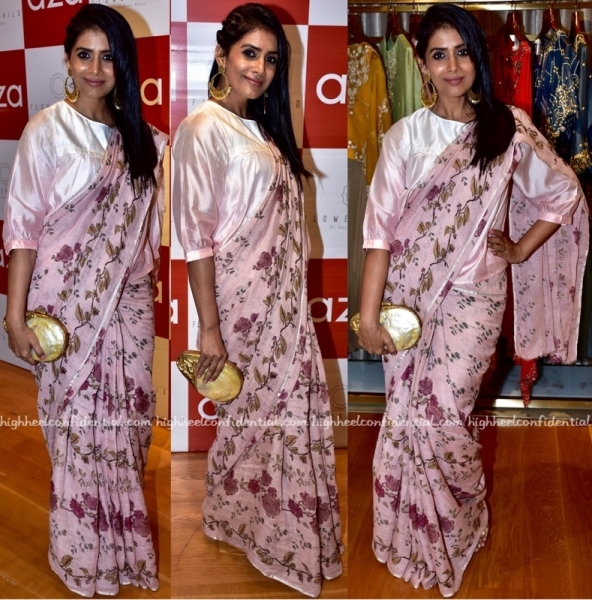 Wearing a yellow Raw Mango sari, Mini lent her support to Shaheen at the launch of the latest collection from the latter’s jewellery line. Not much to fault! She looked lovely!